Out of the many Guadalajara attractions, my personal favorite is touring downtown in a calandria which is a small carriage pulled by a single horse. Your Guadalajara vacation will not be complete without it. Give your feet a rest and get acquainted with downtown the old fashioned way! 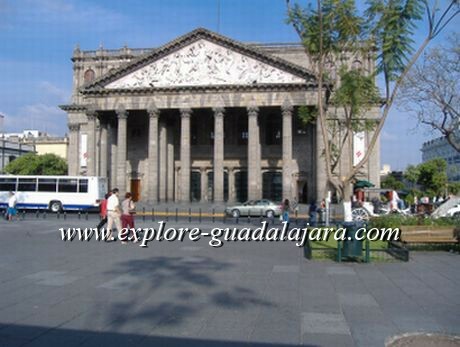 Guadalajara Attractions- Short Time Romance in the City! One big plus about the calandria is that you will really appreciate all the wonderful sights and sounds much better than if you were riding around in a taxi or bus. Plus, if you're trying to score some points .. it's also very romantic! 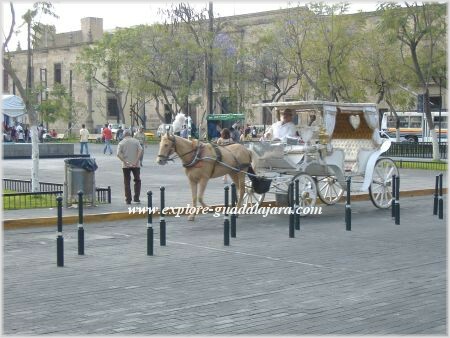 I remember my first visit to Guadalajara and fondly remember that wonderful carriage ride as one of the best Guadalajara attractions. It was evening and the city was still alive and bustling with activity. When I heard the clop, clopping of the horse's hooves it was somehow very relaxing. Yes, this was a real vacation. You'll see the calandrias here and there trotting around waiting to pick up customers. If you're trying to catch one, you can wait across the street in front of Degollado Theatre (Teatro Degollado) in the Plaza de la Liberacion which is also across from the Guadalajara Cathedral. Sit on one of the benches that are there and eventually you'll see one trotting by. They pass by every 15 minutes or so. Or better yet, right next to the Degollado Theatre is a little cafe, take a seat in the little patio and have a refreshing drink or cappuccino. I had this really huge frothy cappuccino with whipped cream and chocolate sauce, it was delicious! It tasted just like Tiramisu. We were so relaxed and just lounging when I saw one passing by across the street. I ran over to try and take this picture. He waved us over excitedly, trying to get our business. Tip: There is a long route and a short route. We decided to take the shorter route which actually seemed pretty long! It felt like it was about 30-45 minutes. It was more than enough time for us and we really enjoyed it. If you like the calandria you might also enjoy the Rotunda of Illustrious men, just one of the many fun activities in Guadalajara! Enjoy what will soon be one of your favorite Guadalajara, Mexico romantic spots in the city. 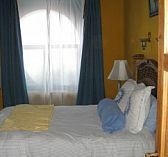 Return to Romance in Guadalajara!